What Does Addiction Counselling Involve? When facing an addiction on either drugs or alcohol, most sufferers undergoing treatment from a rehabilitation centre will be exposed to a range of therapies. One of them relates to psychological recovery – and experts say that without the utilisation of addiction counselling, dependents may find themselves several times more likely to relapse when their recovery period comes to an end. Counselling at Transformation Treatment Center is a vital component of the recovery process and this is why many programs will implement it on a daily basis for those that are being treated. Some sessions will take part in groups, where like-minded individuals will have the option to discuss their ailments and addictions with others in their position, whereas others will rely on one on one therapies instead. One of the revolutionary new treatment concepts for alcoholism is addiction music therapy for treating drug addiction and alcoholism. All treatments offer their own unique set of advantages, but in order to understand what dependency counselling involves it’s best to get to know what each type encompasses when used as an alcoholism treatment. This method is often used when a patient is deemed ready by their counsellor to talk with others in their position. As a result, it’s often turned to mid-way through a treatment program when a patient will be more likely to have accepted their dependency and may be willing to discuss their condition with others in their position. The counselling sessions often require an expert to act as group leader or mediator and depending on the program, the group may be allowed to discuss their ailments amongst one another – or provide information on an individual basis that can be commented on, or listened to by their peers. This has been proven to be effective, as it can allow the group as a whole to come together and offer support; therefore minimising the need for an addict to feel as if they are alone during treatment. To begin with, most rehab centres will provide an addict with a dedicated counsellor – and one that will be tasked with getting to know about the sufferer’s condition, the gravity of their dependency and other important factors. 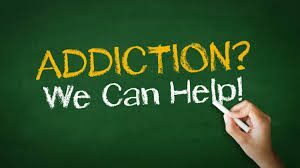 This opportunity is also ideal to provide addicts with an opportunity to get things off their chest, as well as allowing them a dedicated ear to turn to if they ever need to discuss their situation. As mentioned above, this method is often turned to initially, and then occasionally, as the patient progresses with their treatment. Some clinics will rely on regular sessions, whereas others might recommend a productive balance of group and individual sessions – and this will all depend on how best the addict could stand to benefit from the options that have been presented to them.